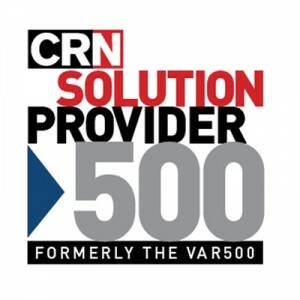 Chickasaw Telecom, Inc. Named to CRN’s 2014 Solution Provider 500 List – Chickasaw Telecom, Inc.
Oklahoma City, Oklahoma, June 9, 2014 – Chickasaw Telecom, Inc., today announced it has been named to the 2014 Solution Provider 500 (SP500) list by The Channel Company’s CRN. The list ranks the top revenue-generating technology integrators in the U.S. and Canada whose forward-thinking approach to the channel has helped them evolve and thrive in today’s cloud and services-driven IT era. The list spans eight categories from hardware and software sales, to managed IT services. Chickasaw Telecom, Inc. placed 467 in the annual ranking. “We are very excited to be named to the Solution Provider 500 list, for the fourth consecutive year, as this list represents 500 of the best at what they do in our industry”, said Jeffrey Downey, GM, Chickasaw Telecom, Inc.
Chickasaw Telecom is a system integrator that serves the state of Oklahoma from offices in Oklahoma City and Tulsa. They are the largest Cisco Systems Partner headquartered in Oklahoma and a Juniper Networks Elite Partner. Their product and solutions portfolio includes data networking, wireless networks, IP telephony, collaboration and network security solutions. In addition Chickasaw Telecom also offers Hybrid IT Cloud networking solutions and complete planning, installation and support services.